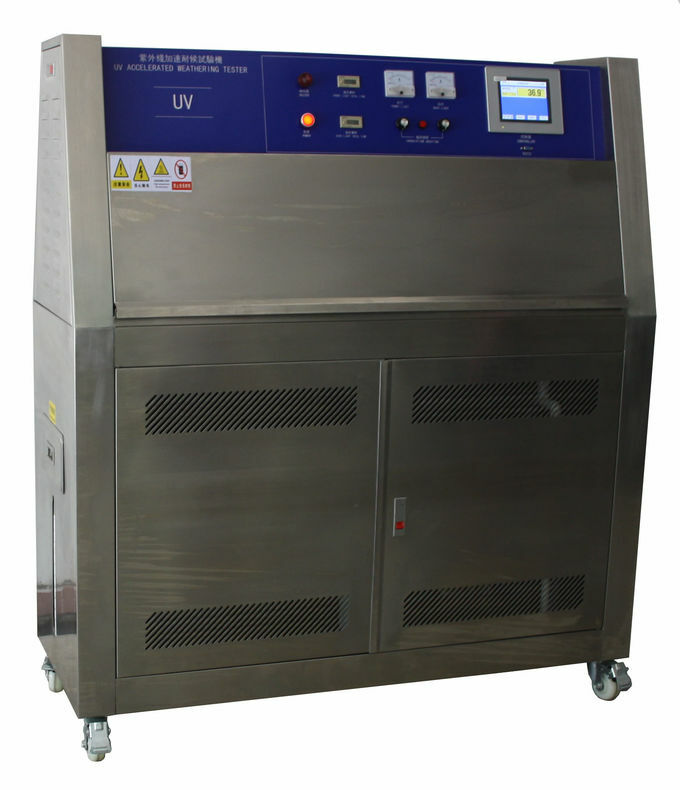 The UV aging test chamber can simulate the influence of the environment including sunshine, rain and dew by exposing the sample to the controlled inter-circulation of the sunshine and moisture with the high temperature. The tester simulates the sunshine using the UV lamp, the moisture using the condensation or spray. And it is essential to the aerospace, automotive, home appliances, scientific research and other fields. (12) The machine would cut off the power supply once the door opens when it is testing to protect worker from any hurt. 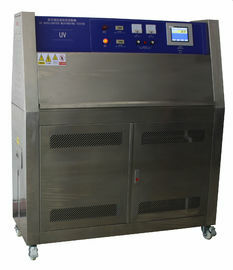 (13) Over-temperature protection: The machine would cut off the power when the temperature inside is too high. (5) Protection device: No-fuse protection switch; over-temperature protection; low-water level protection; over-load and electric leakage protection.